Beijing isn't just about the Great Wall or its Temple of Heaven! Beijing is made of different neighbourhoods that aren't in the tourism glare. Making use of one very rare sober Sunday I got myself to Wangjing, an unassuming Beijing residential area that bridged a certain Korean connection. 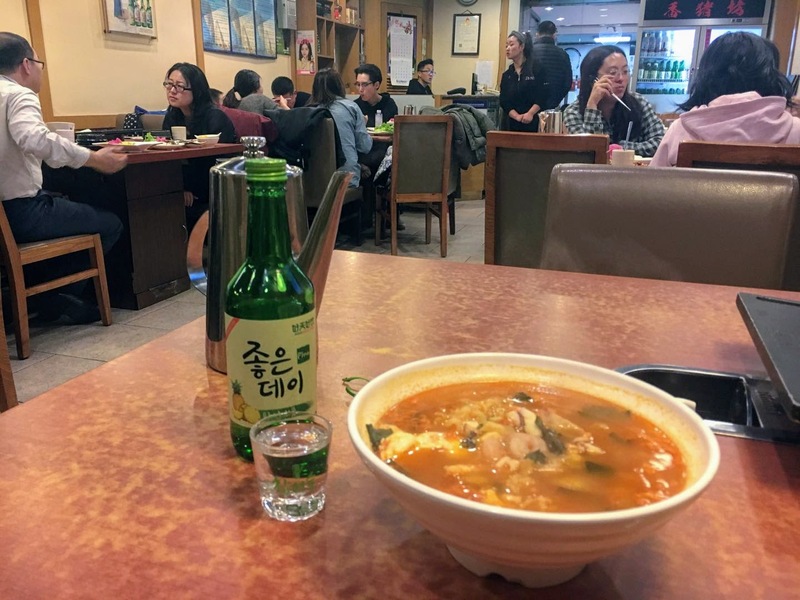 Things might be fractious on the Korean Peninsula but I wanted seafood Ramen and Soju! Ditching the booze two Saturdays ago made for a rare sober Sunday, making use of that rare occurrence I jumped on Line 15 of the Beijing Subway to Wangjing. Why Wangjing? 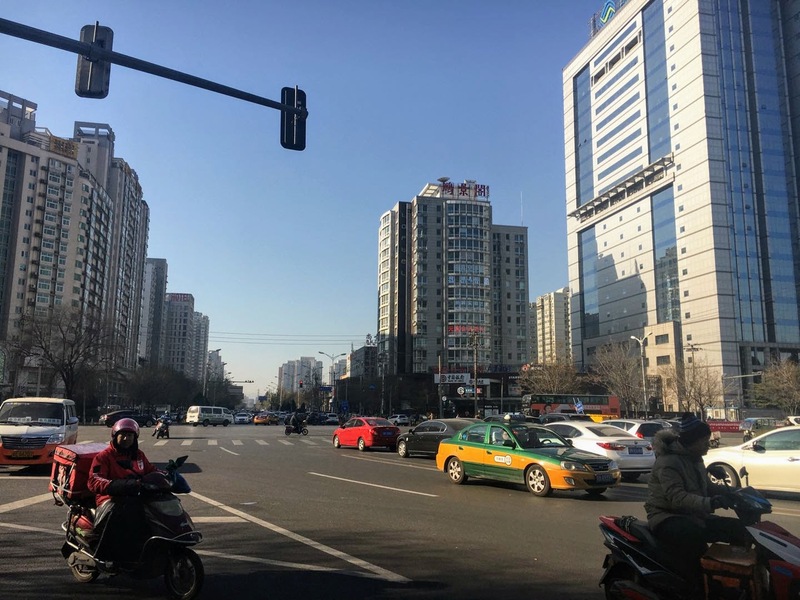 Formerly known as one of Beijing's outer 'sleeping towns' that northern corner of Beijing City has been fashioned into a place for its residents to work, play and live altogether. I was drawn to Wangjing because it had a certain Korean connection, I was originally meant to meet a friend near Wangjing South Subway Station but he was working overtime, turning an unfortunate situation into something worthwhile I wanted to challenge Wangjing to find its Korean side! From China International Exhibition Center Subway Station to Wangjing's underground stop it wasn't much of a journey, no interchanges were needed meaning the whole trip was under fifty minutes! Beijing is massive, finding somewhere to see closer to home worked out just fine! My days out in Beijing haven't been so plentiful, mainly because I only arrived in November? But when the weekend comes round I lose that sense of adventure sometimes because the central heating feels way to good, the cold is definitely biting bad right now! Stepping off the escalator at Wangjing Subway Station felt great, it seemed like a normal residential area but I wanted to see through that classification. I had previously been to Wangjing but the exit seemed like it was slap bang in the middle of a construction site, that day didn't paint an interesting picture of Wangjing at all. Back to the phrase, 'sleeping town' because many outer communities that are away from Beijing were and are commonly ghost towns in the week and only come alive during the evening when the commuters return home from the office or at the weekends. Being a Sunday it was quite hectic but that's just China, frankly I was too hungry to care about that Sunday afternoon energetic pace! 나는 배고파다! Heading for 'Korean Town' for something to eat and for a general nose around. Checking out the import supermarket had to be done, quenching my thirsty with a can of Korean apple juice had to be done. South Korea is known for its beauty and skin products the world over, so I wanted to get something to keep my face looking moisturised and on-point. Finding a deep pore cleansing face cream, trying it out a few days later I was so impressed with the results, my skin looked and felt utterly fabulous! South Korean guys from those K-Pop videos always have such sharp hairstyles, noticing a hairdressers I translated some Korean and got my hair restyled because it was looking like a damn mess! For about ten pounds I got my short sides and top style back, looking good is important here because its all about 'face!' Korean Town may have been pint-sized but it was serving it up! If I need any South Korean train tickets I'm Okay! Hair done, thirst quenched and pore cleanser purchased I was ready to have something tasty and Korean for my lunch/dinner. Close to the hairdressers I saw a Korean barbecue restaurant that looked mildly authentic, regardless of anything else I was too hungry to care during that moment! I cook for myself most days so when I go out to eat I don't want to be cooking the food myself, backing that statement I ordered the seafood Ramen. I had heard of Soju, getting my own bottle for less than twenty Yuan I enjoyed it responsibly because it was Sunday afternoon, nobody has time for a hangover on a Monday morning, plus I like having employment! Back to the food, the seafood Korean style noodles tasted amazing, I was very impressed with my foodie find within Beijing's Korean Town! I'll definitely be back for some more Korean food, preferably not on a Sunday so I can enjoy a lot more Soju! My look had been improved and my taste buds had been satisfied, a job well done Wangjing Subdistrict! Taking a walk around the centre of Wangjing's many imposing tower blocks I came across several shops, restaurants and other businesses that displayed colourful Korean language signs, reminding me of my time within Shenyang's Korean side of town it was nice to have that five minute flashback. The contrast between residential Wangjing to the SOHO development really made all the different, no I didn't give any of my time to that shiny new part of Wangjing. I almost ended my Wangjing outing after that moment but I came across an interesting looking square, it oozed 'twelve party core values' Realness without a doubt! Shiny in a rich red the famous references to the Communist Party of China could be seen, not judging it was a chance for me to test my Chinese reading skills, I managed to read three values. Sports Culutral Square added to the randomness of the day! Did I miss something? Yes B! Wangjing's subtle Korean vibe switched up my Sunday in the best way, I was all but ready to call it a day and head back to Guo Zhan but something told me to do different. 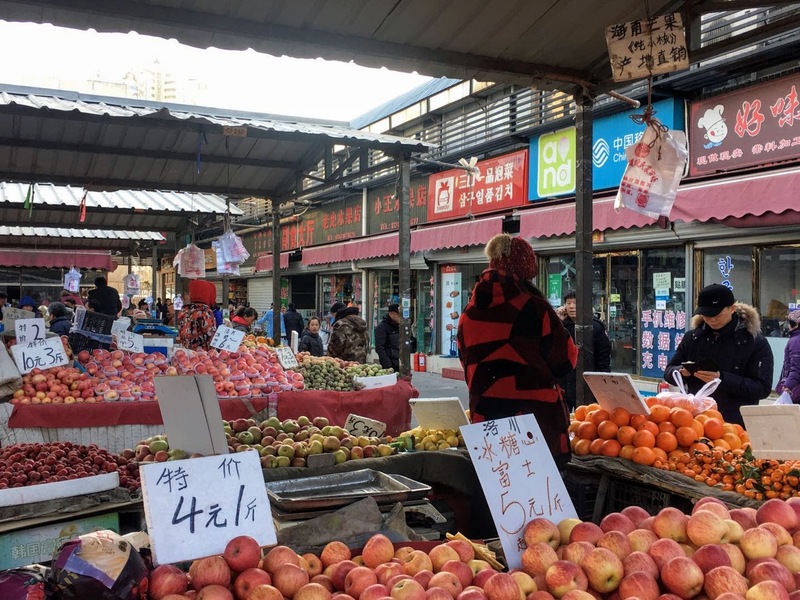 Stumbling upon an open market surprised me, they don't serve those sights in Shunyi by my community so I enjoyed that healthy dosage of Realness! Korean language signs could be seen within that darkened market area, many imported products were being sold from the Korean Peninsula. The wide array of colourful fruits and vegetables gave that corragated iron environment an injection of colour and vibrancy. Clocking the cut and blow dry stlye barbershops within that area I kicked myself because it was a lot cheaper, with that being said it did look like a conveyor belt and language could have been an even bigger problem! 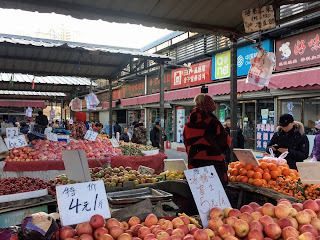 With my fruit purchases in tow it was time to head back to Shunyi before another new exciting week at work. So, Wangjing had something different, I appreciated that unknown area of Beijing! Shunyi District: Strictly Suburban Beijing! 2016: A Very Yunnan Christmas!